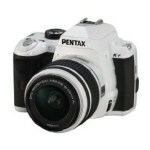 Check out these great deals on cameras - all with free shipping. A 14 megapixel camera with 24x optical zoom, and a 3-inch LCD. Shoots 1080i video. An 18MP digital SLR with a CMOS sensor and a 3-inch LCD. 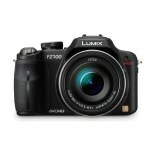 Includes 28-135mm zoom lens. Shoots 1080p/30 and 1080p/24 video. A 12.4 MP digital SLR with a 3-inch LCD. Shoots 720p/25 video. 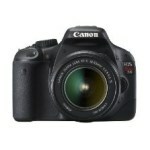 Includes 18-55mm zoom lens. 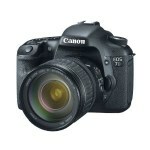 A 14.2 MP digital SLR with 3-inch LCD that shoots 1080p/24 video. 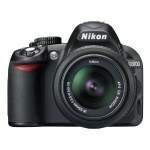 Includes 18-55mm Nikkor zoom lens. The little brother of the 7D, the T2i is an excellent 18MP digital SLR with a 3-inch LCD and shoots 1080p/30 and 1080p/24 video. Includes an 18-55mm zoom lens. As much as I love Techlicious you can do some silly things. I wanted to check on high end cameras but the list was so short I was puzzled. To see the Canon T2 but not the T3 or T4 was strange. Then I noticed the article was dated Dec. 21, 2010. Let me repeat that. The article was dated Dec. 21, 2010. TWO AND A QUARTER YEARS OLD. Let me repeat THAT! TWO AND A QUARTER YEARS OLD. What in the world is going on? All of your readers expect quality and truthfulness from you. I cannot tell you how disappointed I am in Techlicious over this stunt. I think the entire article should be erased. My faith in Techlicious has been seriously damaged. I’m not clear on what you’re expecting. You pulled up a two-year old story, so of course the information will be out of date. That’s why we put a date on our stories (some sites don’t do this so old stories still appear new). And this wasn’t a buying guide, it was a daily deal story about great camera deals, which we called out in the title. If your looking for our camera recommendations, our most recent camera buying guide is from April 2012 and includes the T3: https://www.techlicious.com/guide/digital-cameras-2012/. We will also have an updated camera buying guide coming out in the next few weeks.